The fact that the company produces footwear of unbeatable quality is underlined by the list of really big names, including Adam Ondra, Paxti Usobiaga, and Lynn Hill, who trust in La Sportiva on the most challenging routes and when participating in the toughest competitions around the world. The unique design combines perfect fit and functional precision without having to compromise on comfort. Climbing shoes may all look roughly the same at first glance, but details like the design of the last, toe room or pre-tensioning will vary depending on the intended climbing purpose. 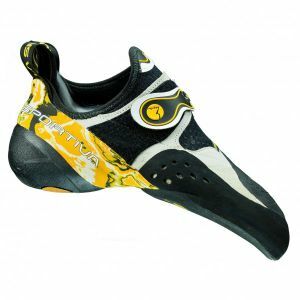 The La Sportiva product range encompasses all facets of climbing. From the all-round talent to the comfy model for Alpine climbing, or the aggressively pre-shaped models for steep inclines - climbing enthusiasts will find the perfect shoe to match their requirements right here at La Sportiva. The Italian manufacturer's footwear has been making history - and not just for climbing sports. Trekking boots and shoes from the La Sportiva range are often the first choice for professional mountaineers like Beat Kammerlander or David Lama when they embark on spectacular first ascents or expeditions. The technology involved in creating the footwear, like the highly functional outer material GORE TEX, plus many technical details for additional reliability make La Sportiva footwear an excellent choice for demanding tours. Here too, the product portfolio of La Sportiva encompasses all possible eventualities - from light-weight hiking shoes to crampon-capable climbing shoes and highly functional trekking boots. Another highlight of the Italian brand is their range of trail running shoes. State of the art sole systems ensure optimized grip, offer excellent foot support, and superior shock absorption. The rugged outer materials make the shoes impervious to any conditions, and come with a GORE TEX membrane and integrated gaiters for all-weather athletes. You'll be perfectly equipped for quick runs in demanding terrain. La Sportiva is also a name to be reckoned with when it comes to functionwear. The unmistakable Italian chic combines fluidly with uncompromising function for Alpine adventures, making the brand a virtually unbeatable union of beauty and utility. The brand's outerwear in hardshell, softshell, or fleece for jackets, bodywarmers and trousers comes in a variety of top quality and functional materials, including Primaloft, Portalec, and GORE TEX. 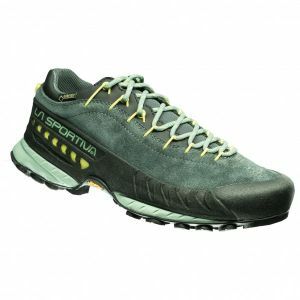 Many of the climbing and mountain shoes by La Sportiva are so sought after that at times they are pretty hard to come by. The reason? Their superior combination of quality, comfort, and functionality. A distinction that is at least as important as the many awards La Sportiva has received over the years for their outstanding products and innovations.